Utah sports legend Jay Van Noy passed away last Saturday at his home in Logan after battling Bacterial Endocarditis. He was 82. Van Noy was a four-sport athlete at Utah State, competing in baseball, basketball, football and track. He was signed by the St. Louis Cardinals in 1946 and was also drafted by the Los Angeles Rams in 1950. 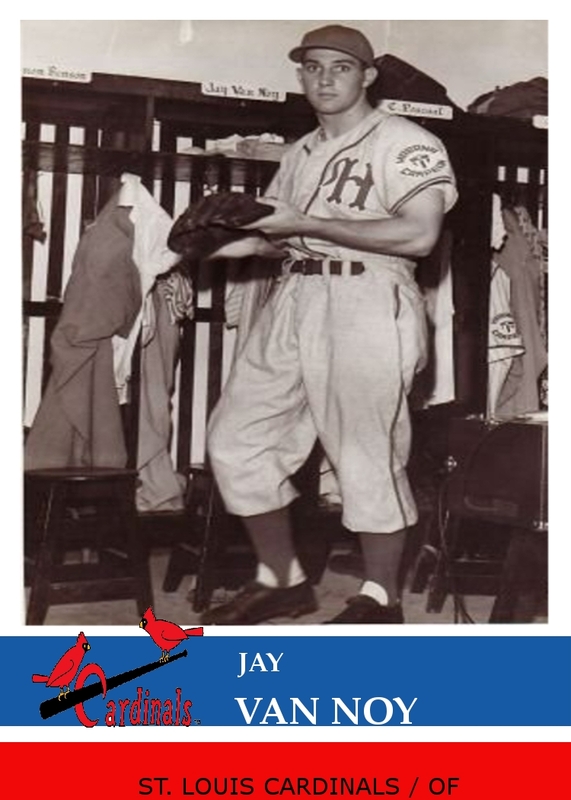 Van Noy chose baseball and quickly ascended through the ranks, making the Cardinals ball club in 1951 only after his second full season in the minor leagues. Van Noy was called up to the big leagues in June of 1951 after getting off to a quick start in Triple-A Rochester. His results with the Cardinals wouldn't match his Triple-A prowess, going 0-7 with six strikeouts in six games. During a 2008 interview I conducted with Van Noy, he discussed his experiences in a major league uniform. "I pulled a hamstring muscle and that's when they took me up to St. Louis," he said. "They weren't getting the results in Rochester. I was taking my at-bats up there and I was knocking them out of the ballpark. They signed me from there. When you are in that company, it was an honor just to be part of it. They were great baseball people, and they're great individuals, great citizens (Musial, Schoendienst, etc). Nobody tried to cut your throat, they tried to help you. Great people." Van Noy would continue playing at the Double-A and Triple-A levels until 1960. He went on to become the head baseball coach at Brigham Young University, as well as an assistant in basketball and football. Van Noy was proud of one of his accomplishments while coaching at BYU that wasn't necessarily tied to wins and losses. He was instrumental in moving conference championships away from Sundays. "My club at BYU, won the conference, and district, but we couldn't go to the championships because it was played on Sundays," he said. "We started the negotiations of that rule, so that if the school can't play on Sunday, that they let them play on Monday." After his tenure at BYU, he became the director of Logan Parks and Recreation for 17 years. He remained active in baseball by delivering clinics through the Major League Baseball Players Alumni Association. As we ended our interview, Van Noy shared his sentiments about playing during the 1950s that have been echoed by many of his peers. "It was the greatest time to come up in baseball," he said. "You came up because you loved baseball. It wasn't commercialized like it is. And the money. When they started paying money and they had money invested in you, it all went down the tubes. We had players that played both sides, offense and defense. It made a great big difference."